If you desire your serviced apartment to be a haven where customers can relax and find comfort then it must not only be clean, but sparkling clean from top to bottom. Gladly, when it comes to providing housekeeping solution to service apartments in Warrington, J&D House Services shine through. We believe your clients should always come into to an immaculate, sparkling, and healthy environment you can be proud of. This is what you should come to expect every time from our housekeeping serviced apartment services. Highly competitive rates for all types of Housekeeping services. Our services are tailor made to meet your needs, budget, and schedules. Dependable, thorough, and professional housekeeping. Your peace of mind and security. At your service is a licensed, insured, and registered housekeeper. Our staff are experienced, fully equipped, adequately trained, uniformed and skilled. That’s not all, we only provide vetted professionals that have passed strict background security checks. Customized housekeeping services including tailor-made cleaning appointments, special needs, Maintenance/Inspection report of general interior and other items. We start with a thorough detail-clean throughout your apartment, with special attention on your kitchen and bathrooms, entire apartment, detail-clean services in sleeping and living areas. We’ll continue to maintain this detail-clean level throughout apartment. Handle all types of housework including dusting, cleaning, bed making, and laundry. Complete other tasks under the Terms of Agreement. Wouldn’t you like to take the burden off your shoulders so you can use your time for more important stuffs? We will be glad to make it happen for you- get in touch with us today for awesome housekeeping for serviced apartments in Warrington. Just as in hotel, the aim when offering housekeeping services is to provide the clients renting your serviced apartment with both regular cleaning a high level of lifestyle suport. 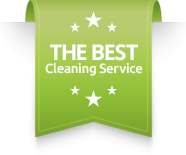 Each exit cleaning (check out) is assigned to a Quality Manager, their role is to ensure that the cleaning carried out in the property is an exact match to the cleaning requirements laid out by you the customer. We can matain suplies of toilet paper, shower gell, hand wash, air fresheners, pack of bin liners, dish cloths, whashing up liquid, cleaning spray, sponges, dishwasher tablets, coffe, tea, sugar and more..